Leading others starts with leading ourselves. It’s only by becoming keen observers of ourselves that we can learn to lead others effectively. A coach helps you look inside—at your head, your heart, your body, your spirit—to marshal the best of what’s already within you in service to yourself and others. The coach, as your partner and ally, provides a safe, confidential space for deep exploration, both supporting and challenging you. Full circle leadership means you’re bringing all the best aspects of yourself to work, linking and deploying them—intentionally and strategically—to enhance your business and professional leadership. I said to him, ‘I’m going to give you a surprising word and you’re going to be taken aback by it.’ It wasn’t something I thought about, just something that came to me, and that is to display vulnerability…Sometimes we don’t have all the answers, sometimes we make mistakes…It’s really a question of being open and honest, sharing the vulnerabilities and sometimes the insecurities. And I think people today want their leaders to display the balance of the human condition. The word rosewood embodies this and other qualities of a full circle leader. A rose is open, vulnerable, and gentle, while wood is strong, solid, and resilient. 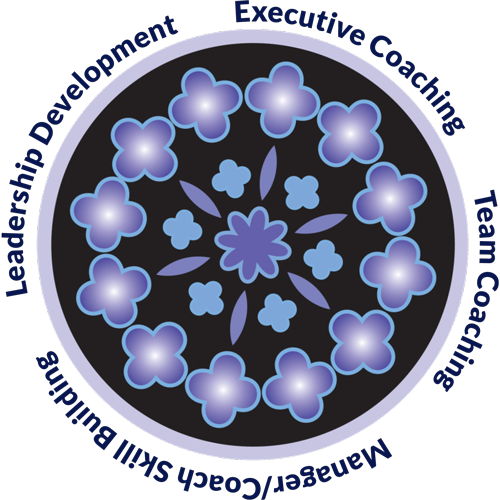 At Rosewood, LLC we are committed to helping you integrate and leverage these essential aspects of inspired leadership.